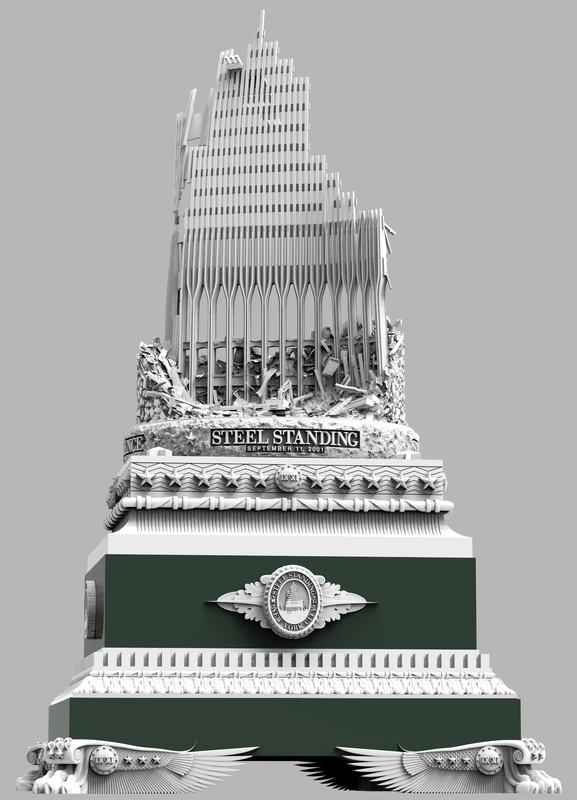 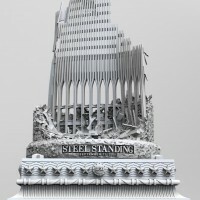 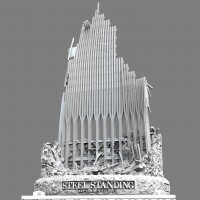 The STEEL STANDING monument is truly a unique, and most original work of art. 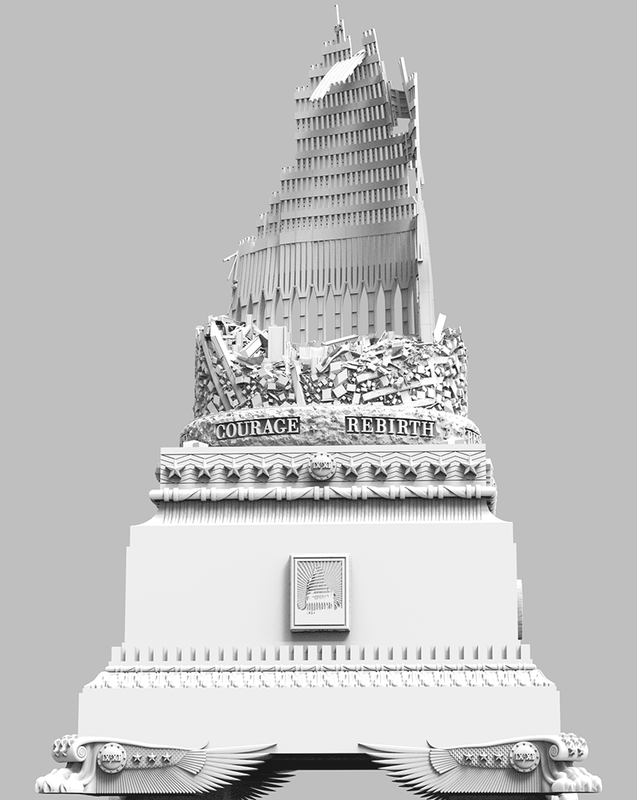 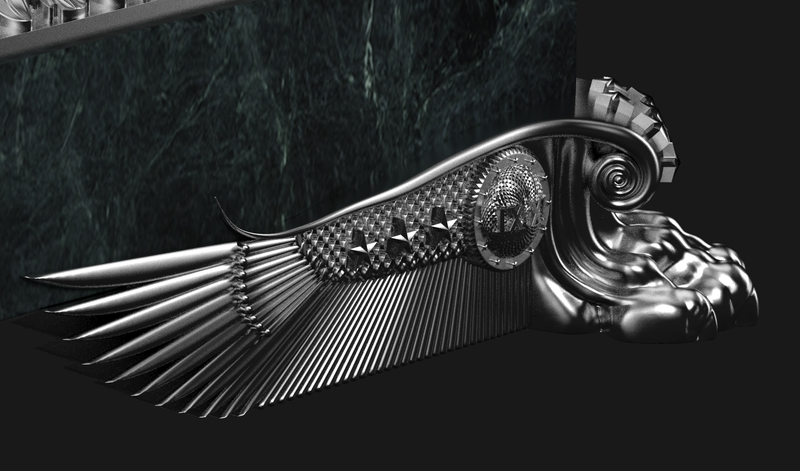 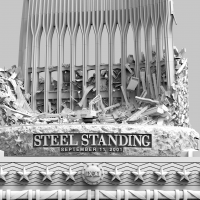 Based on the profound iconic black & white STEEL STANDING photograph, the monument sculpture is being executed with the highest level of precision, quality, attention to detail and overall coherent aesthetic appeal. 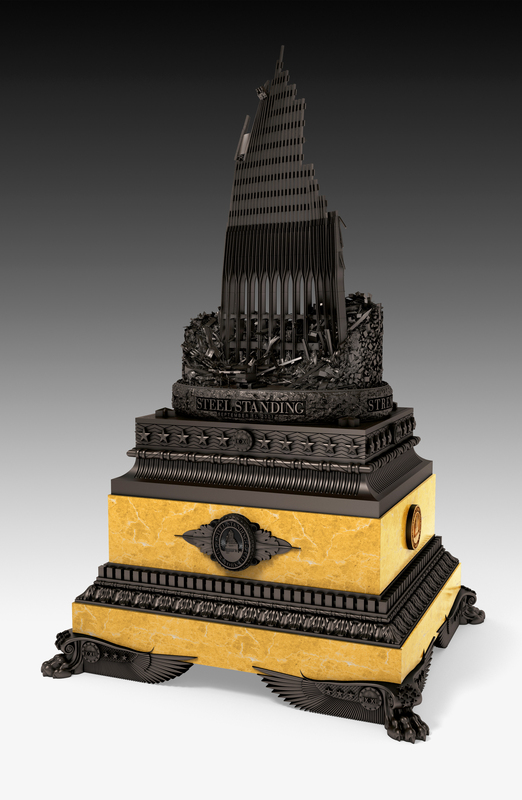 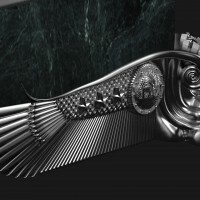 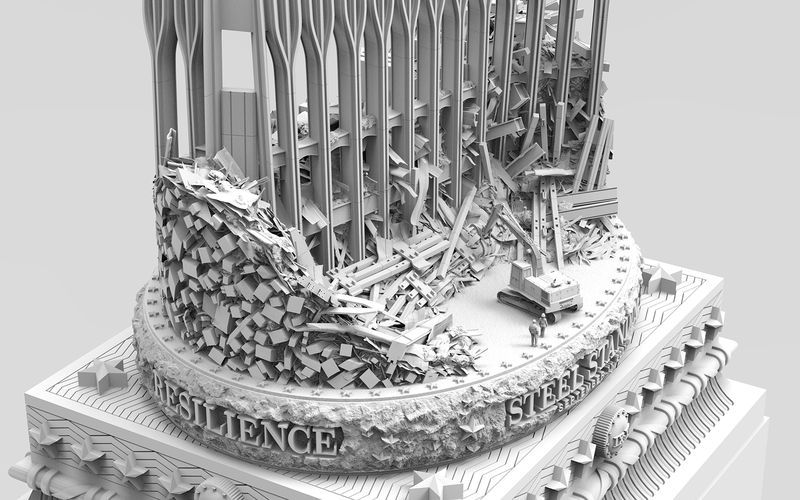 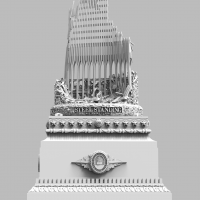 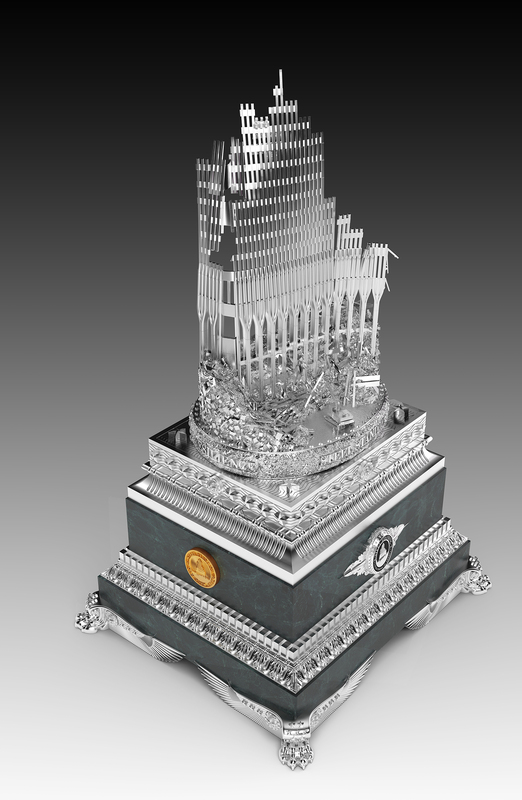 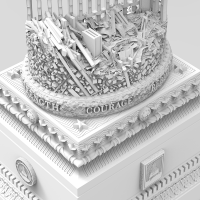 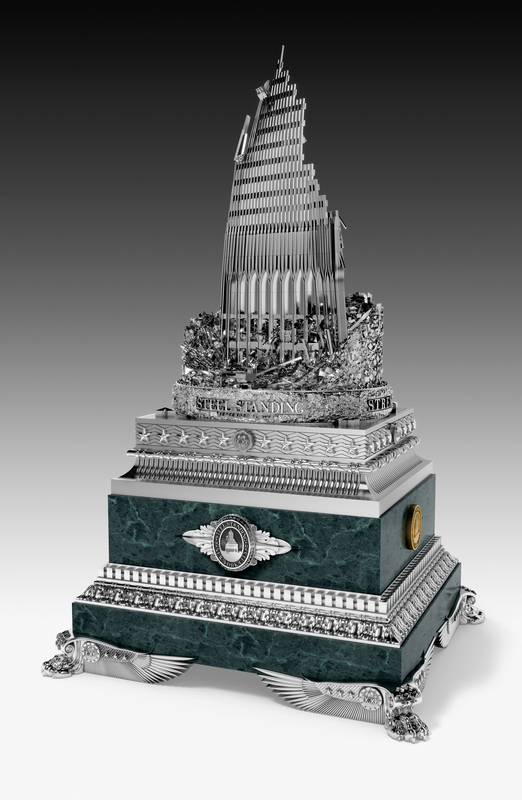 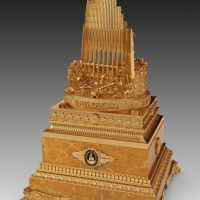 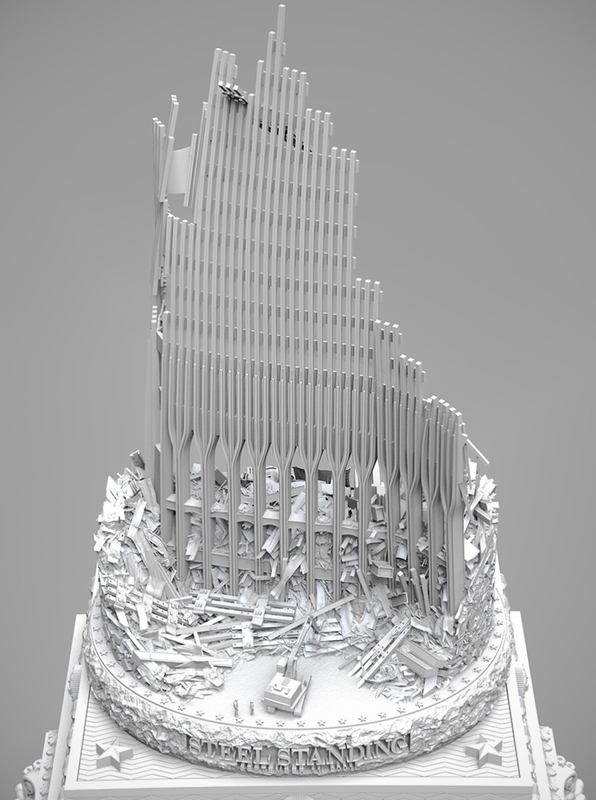 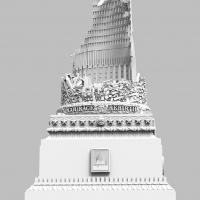 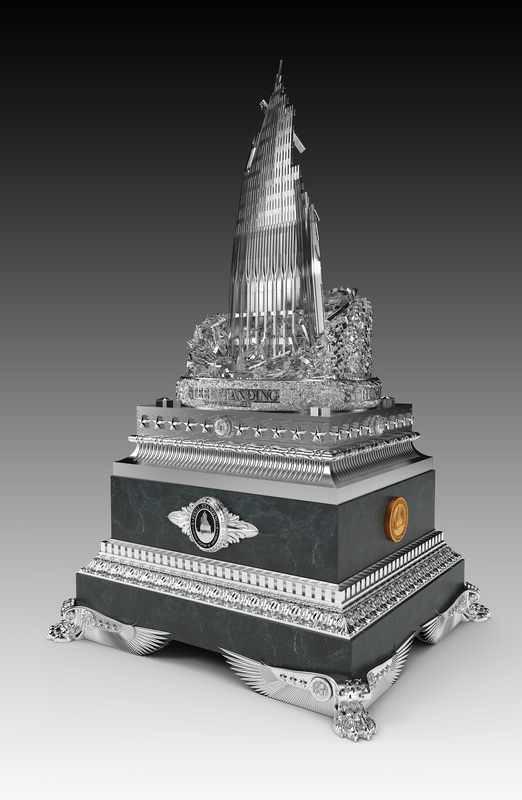 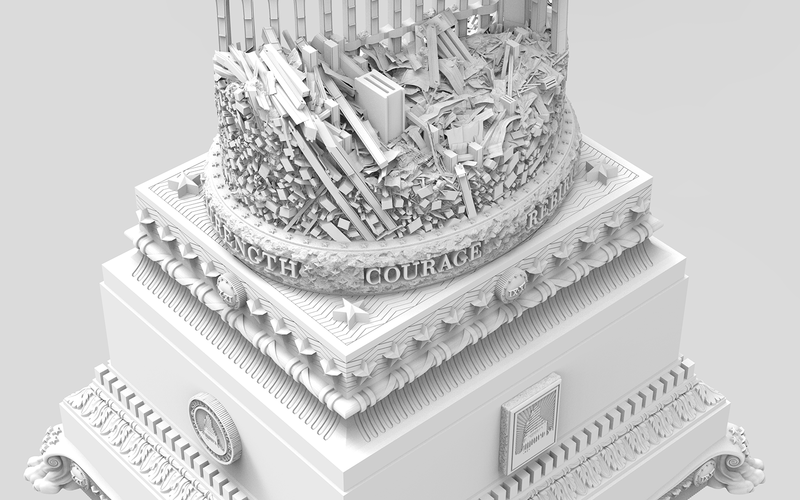 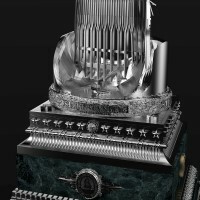 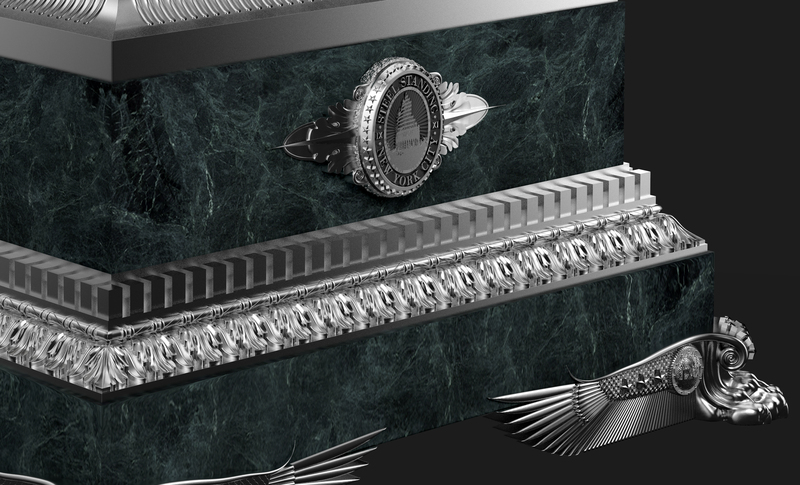 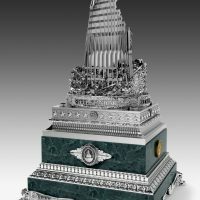 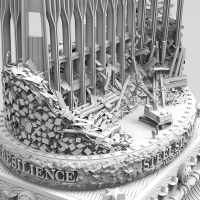 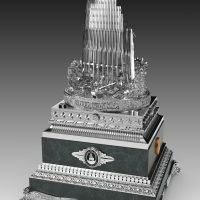 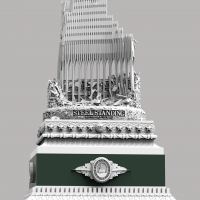 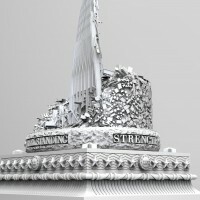 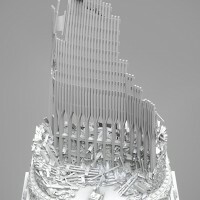 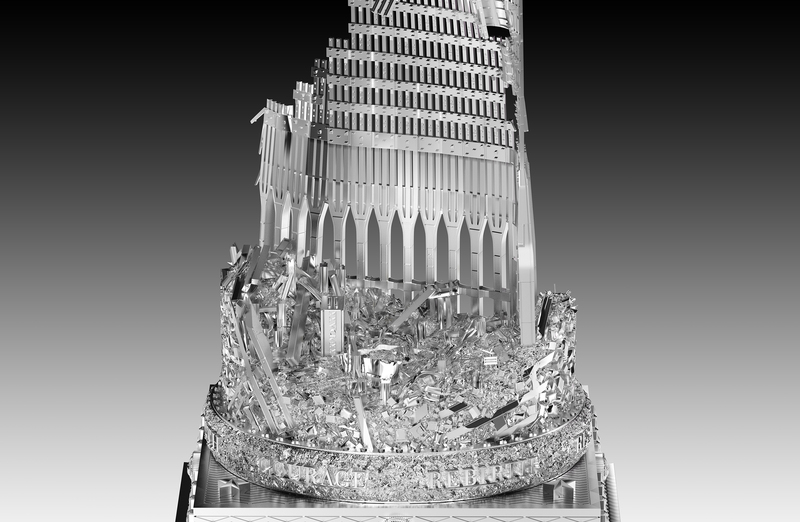 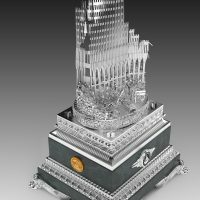 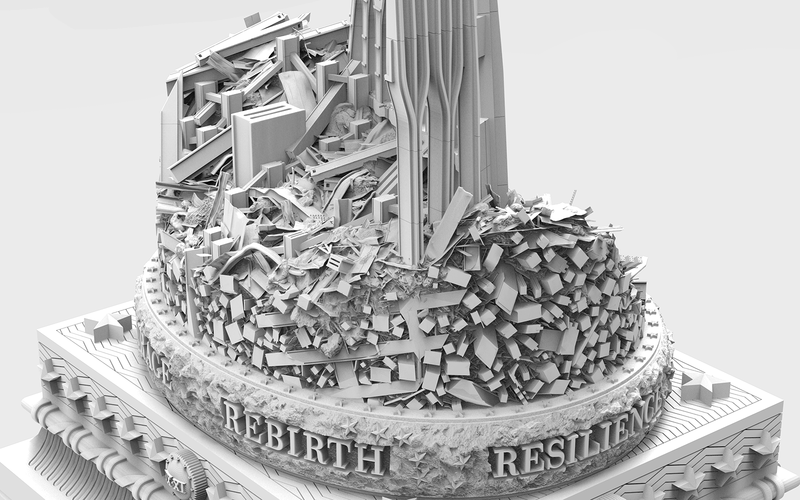 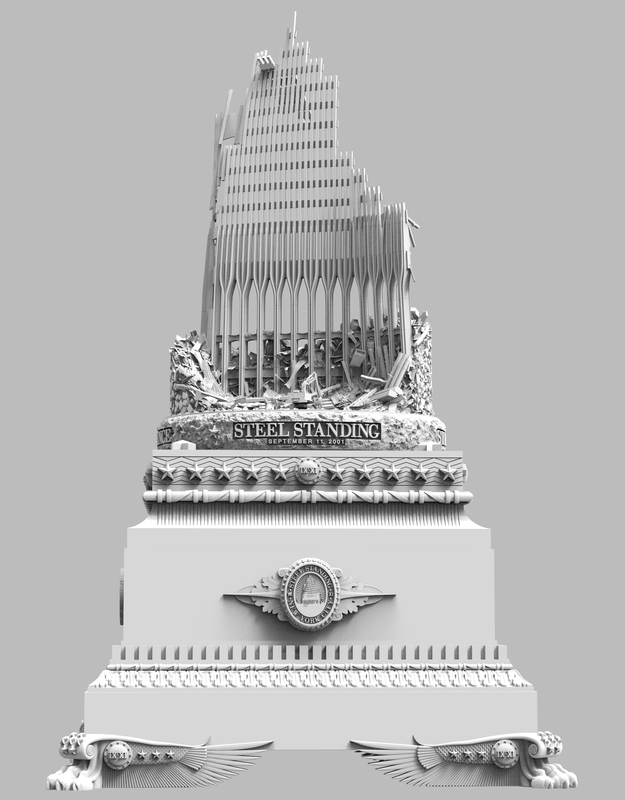 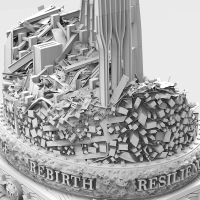 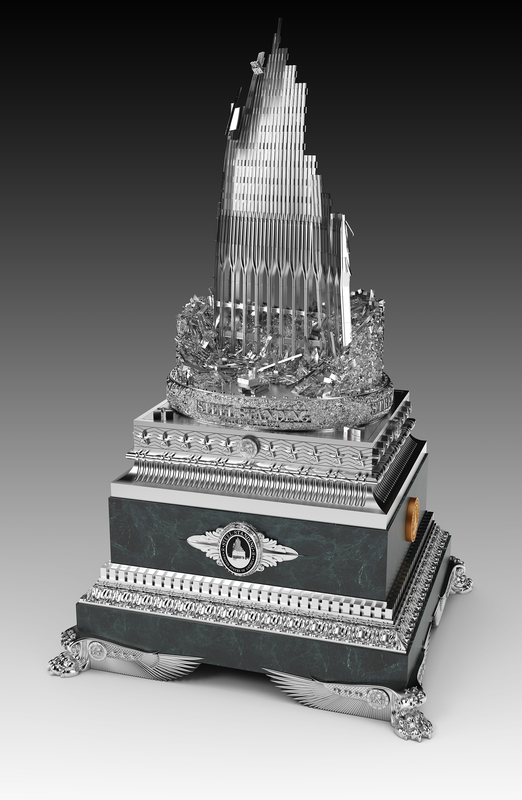 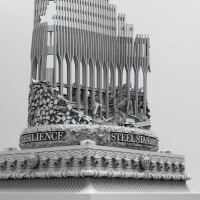 The tragic event of 9/11 was a most unique historical moment in time, hence the sculptures design details and symbolism incorporate the universal concept of time. 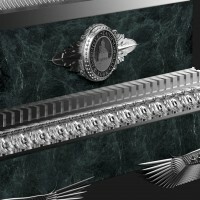 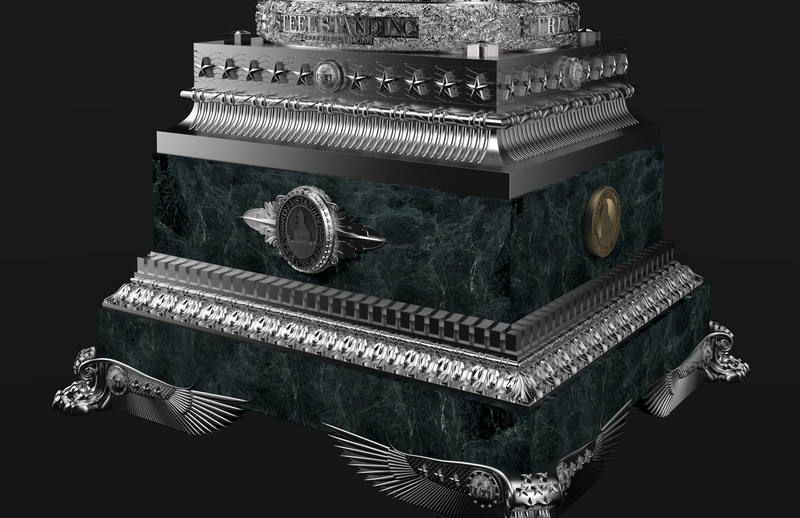 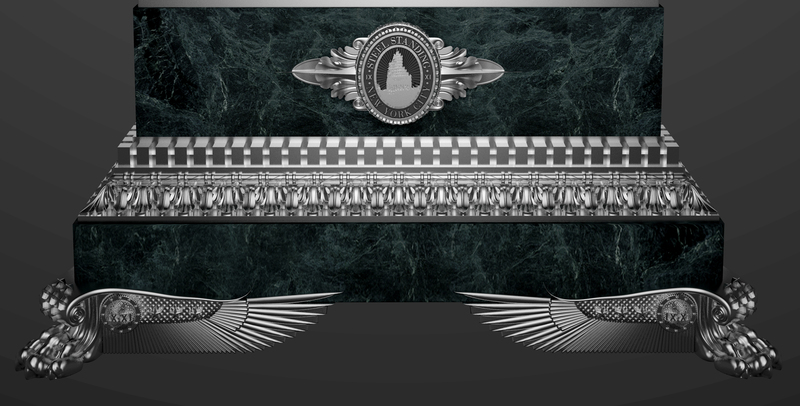 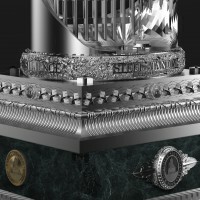 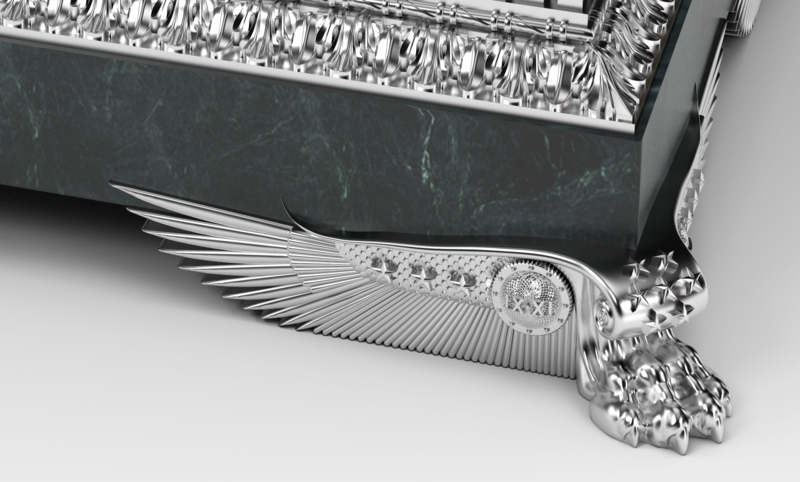 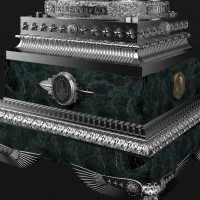 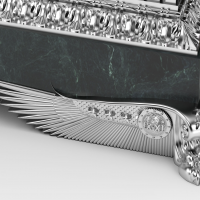 The marble base section receives its inspiration from French Empire-Style Mantel Clocks manufactured in France during the Napoleonic Empire between 1804-1815. 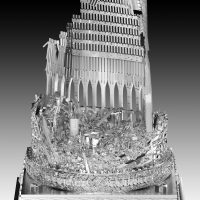 9/11 also touched the entire planet, so the aspect of time is further articulated by incorporating elements, and artistic influences throughout recorded history from several different cultures from around world. 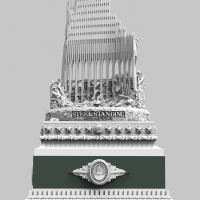 The sculpture displays Neo-Classical elements from Greece and Rome. 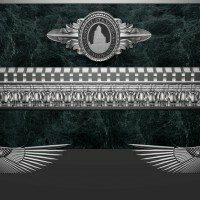 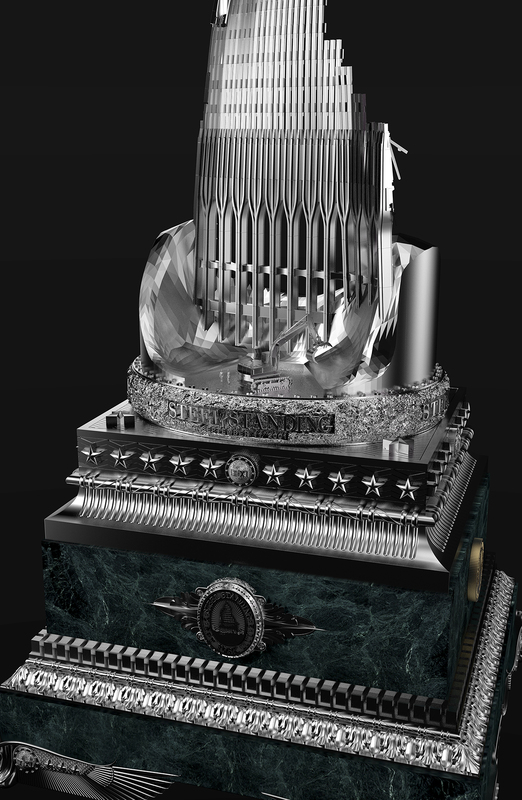 You will also notice inspiration from Ancient Egypt, the Art Deco period, and the main European Gothic element of the ruin itself. 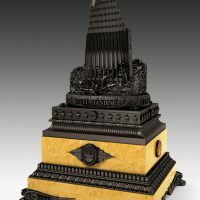 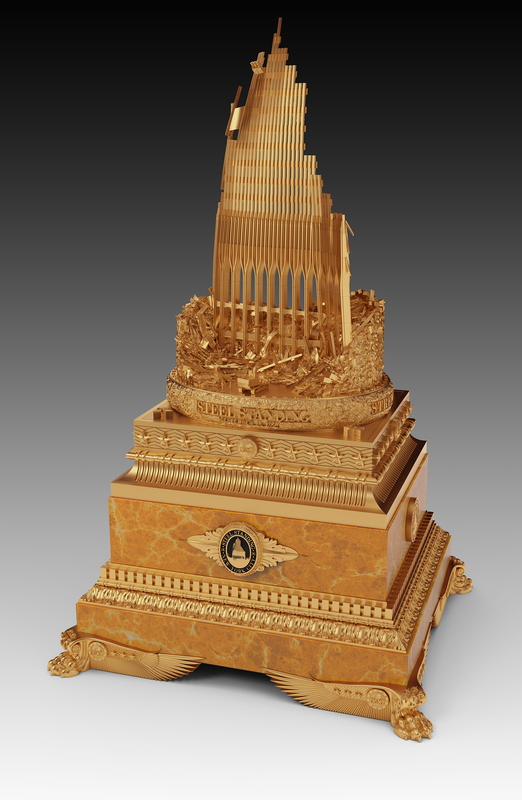 Combining all of these elements also subtlety implicates the inspirational Asian geometry of a Stupa. 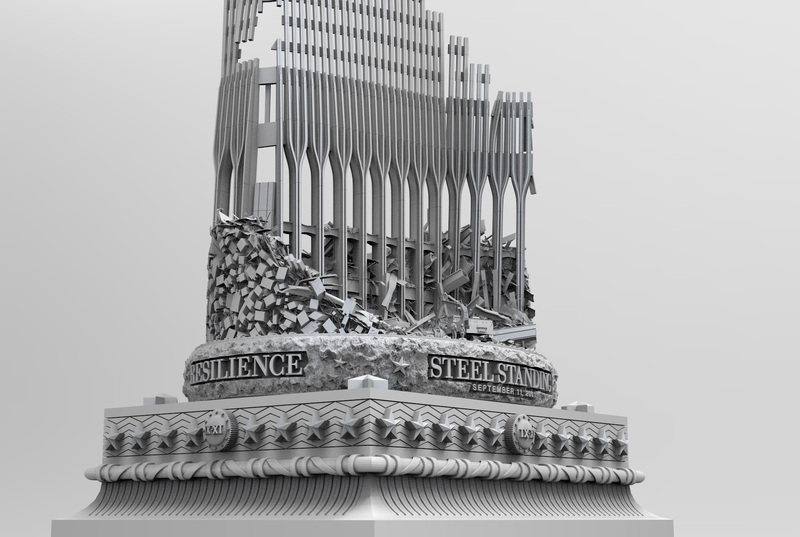 The monument is thoughtfully designed to appeal to global citizens, so as to acknowledge the fact that 9/11 struck a chord deep within the hearts and minds of people from all walks of life, spanning across the entire globe. 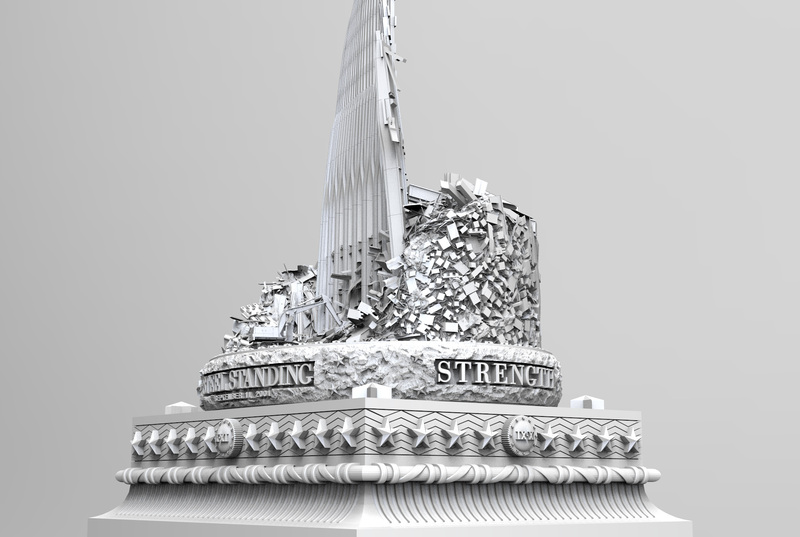 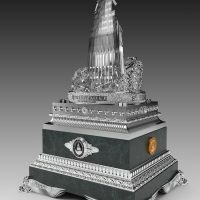 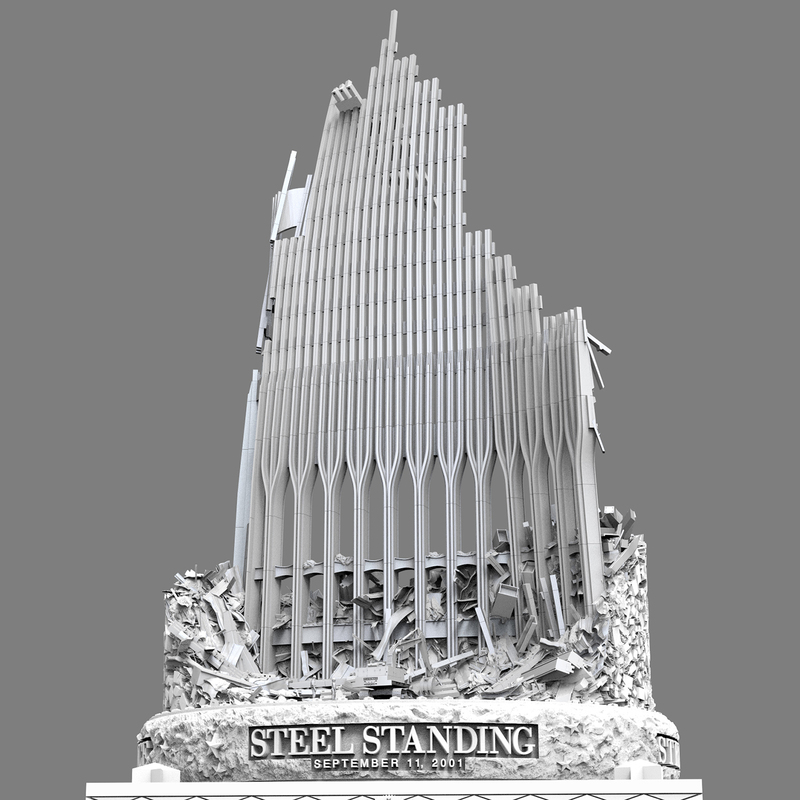 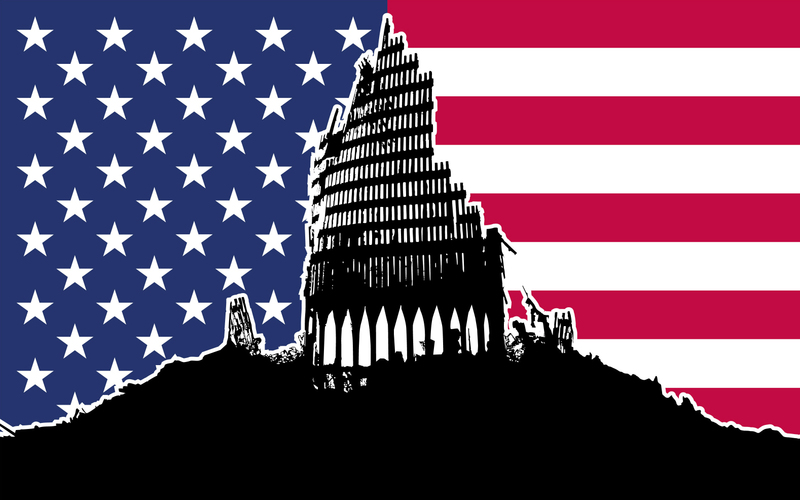 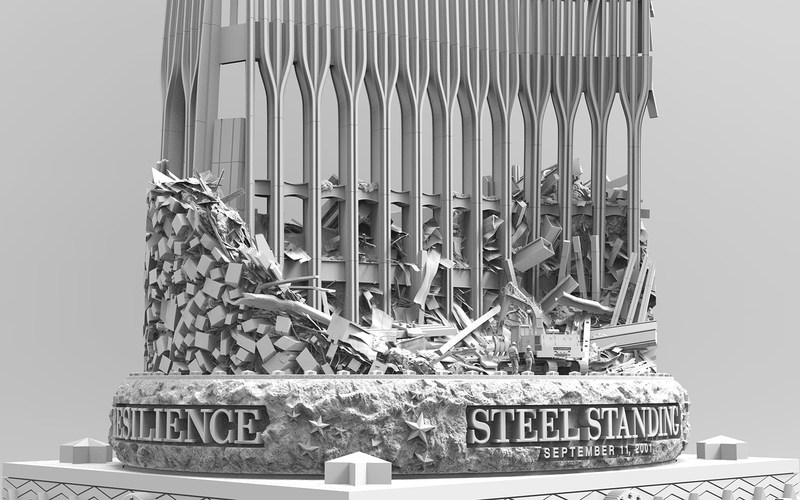 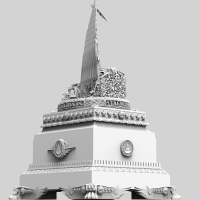 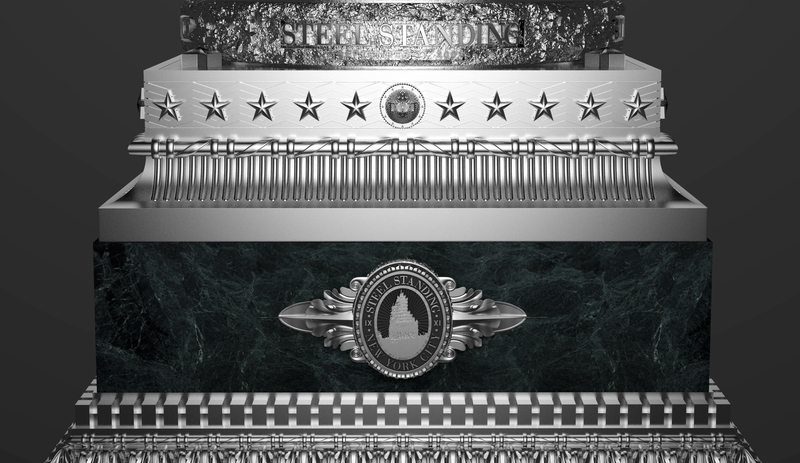 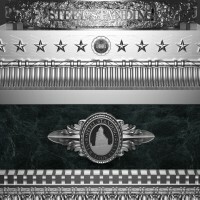 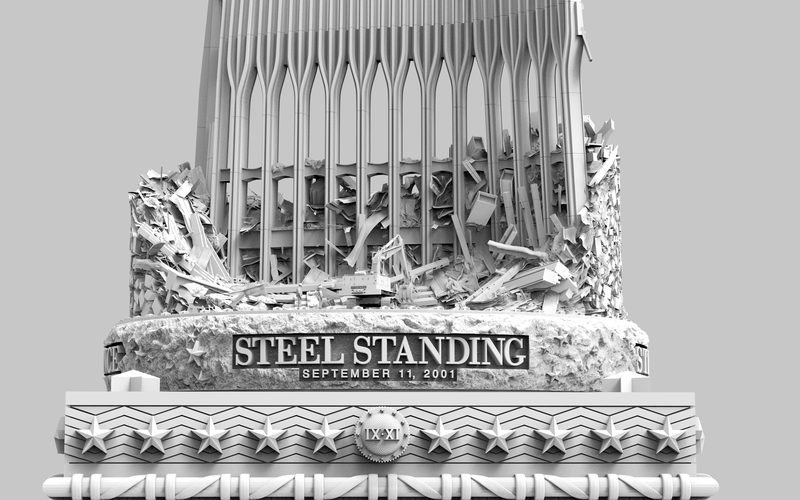 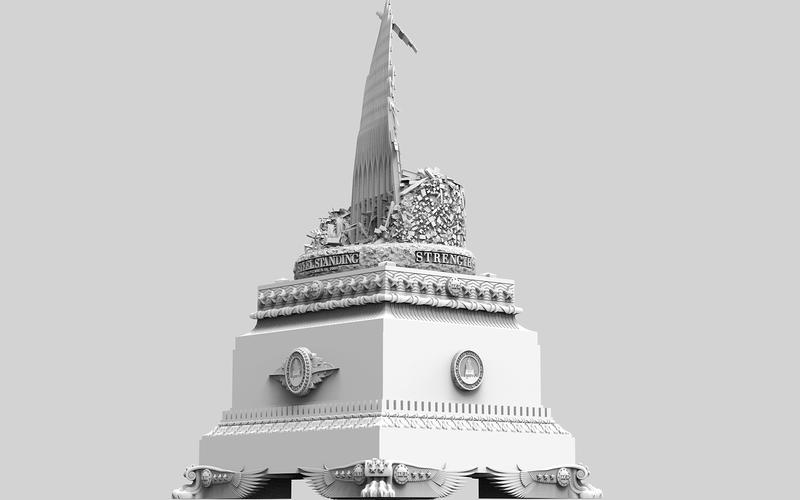 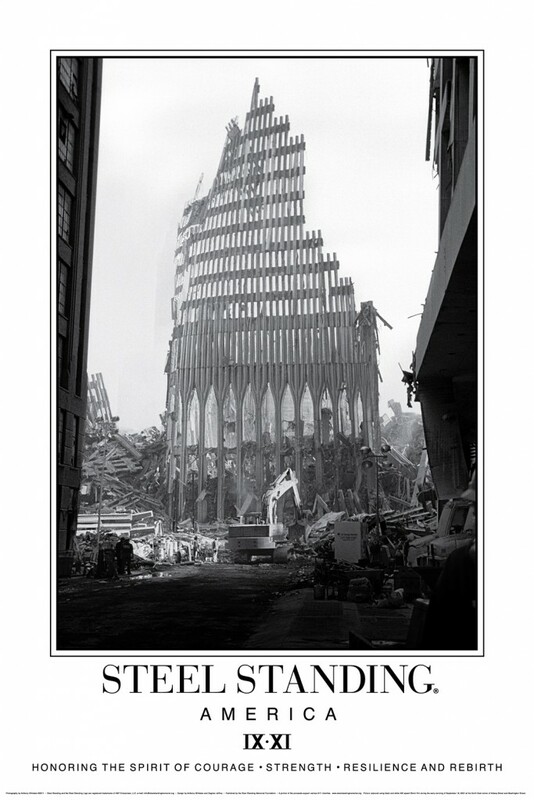 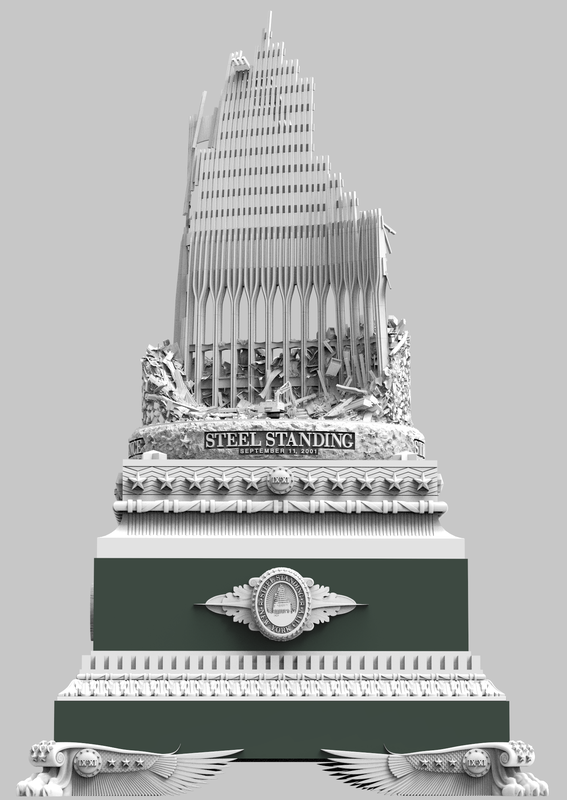 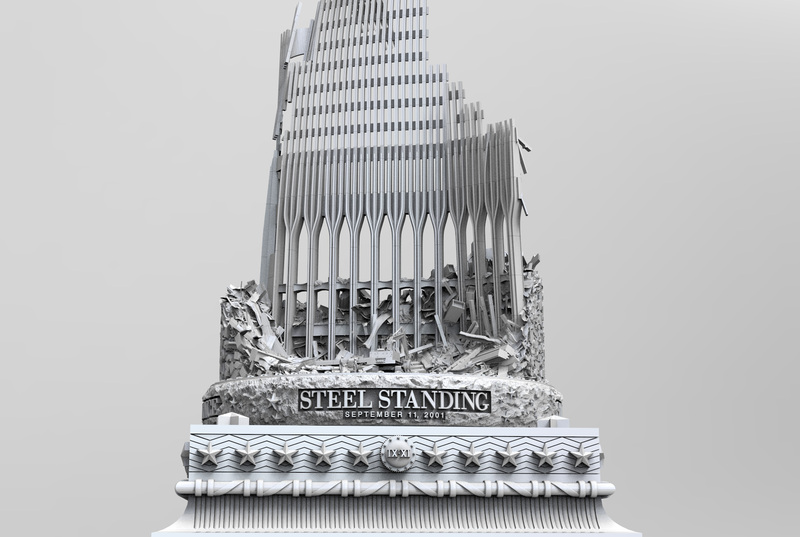 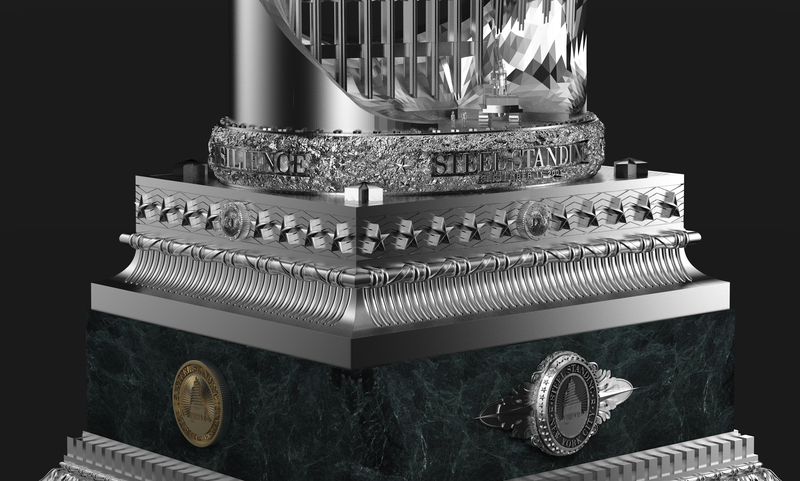 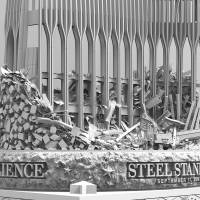 The first rendition of the STEEL STANDING Monument will be 30″ inches in height, and is slated to be on permanent display within the Pentagon, the headquarters of the United States Department of Defense.